We started with more than four thousand songs in CBC's Searchlight, and now we're down to just FOUR! 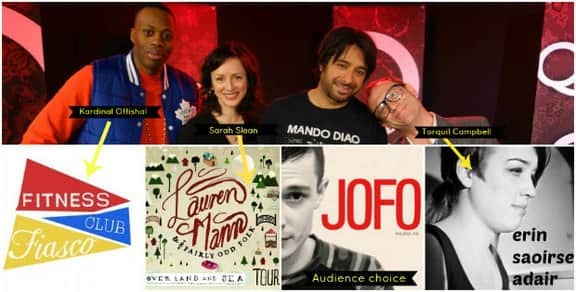 On Q, Jian Ghomeshi revealed the four finalists in the CBC's Searchlight competition, and now CBC Music's Grant Lawrence tells us who the celebrity judges chose to bring to the finals -- and why. To listen and vote for Searchlight's winner, head to CBC Music.ca /Searchlight. 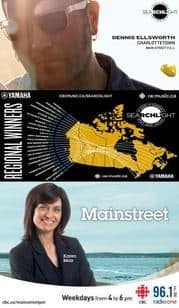 This week, CBC Searchlight officially announced the top 10 finalists in all 24 regions across Canada for the 2014 edition of Searchlight: the hunt for Canada's best new artist. A panel of celebrity judges in the CBC's Searchlight competition saved five finalists from elimination because the judges feel they deserve to be in the top 10. Grant Lawrence makes the reveal. We reached top ten finalist Dennis Ellsworth by phone for his reaction. Ellsworth and his song "Things I Want," were selected among 4,000 others competing to be Canada's top new artist. Island singer song-writer Dennis Ellsworth was named yesterday as PEI' s winner in the CBC music searchlight competition. He's actually on tour right now in Ontario. Angela Walker caught up with him to find out how he feels about the big win....and about the competiton he now faces. Dennis with his song "Things I want" now moves on to compete for winning the title of Canada's best new artist. Don't forget to vote for Dennis in the CBC Searchlight competition... and to vote visit cbcmusic.ca/searchlight. 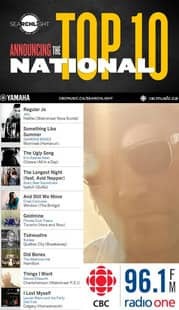 Tue., 25 – Canada's Best New Artist - VOTE NOW!